Welcome to my third posting for GIU for this week. I have watercoloring supplies out, and used images from 3/2018 KOTM. 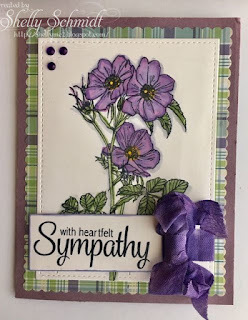 This post is a tribute to my Mother, she was quite the artist, loved flowers and her favorite colors purple and yellow. 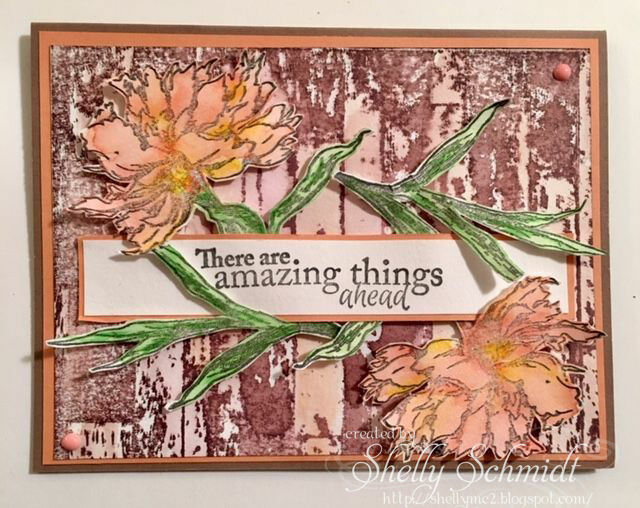 I used Distress ink Seedless Preserves for the background. The background stamp is Spilled Paint Unity/Brutus Monroe. 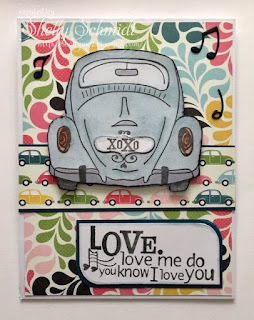 Once the background stamp was inked, I spritzed a little water on it, then stamped it onto Canson Mixed Media cardstock. 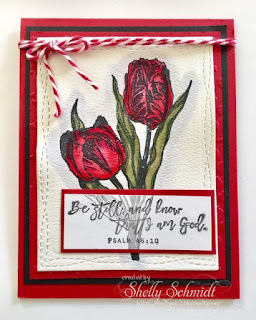 The tulip image was stamped onto Arches watercolor paper. It was cut out with a MFT die. 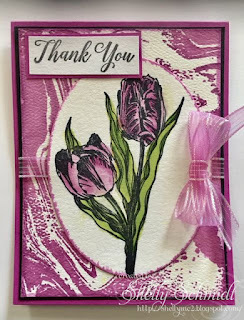 The distress ink was applied to a craft mat and then spritzed with water, and painted onto the tulip. I added a touch of Distress marker for highlight. 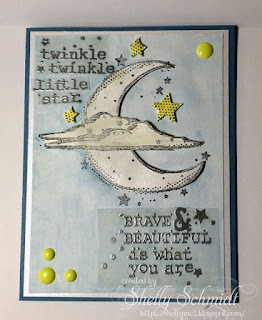 I took a sponge and grabbed some color from the stamp(that I had not cleaned off yet) and sponged the edge of the card. 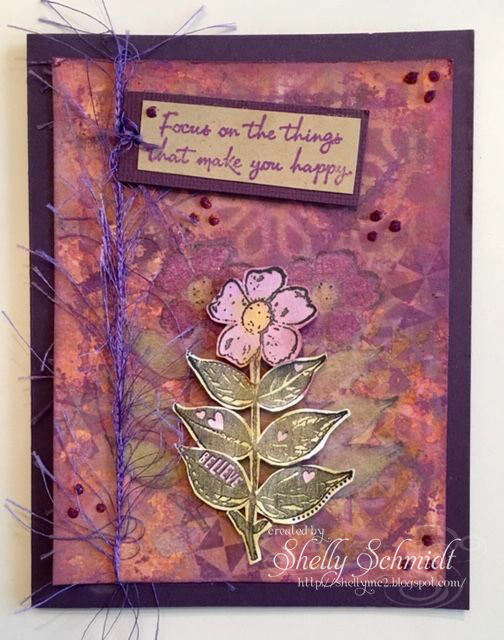 The cardstock is SU Marvelous Magenta (retired). I finished off the card with a bow. 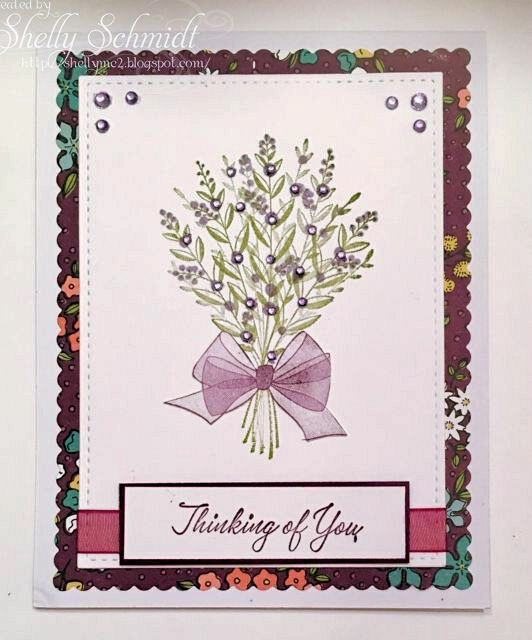 I added the sentiment from 12/16 Sentiment kit (Special Wishes). 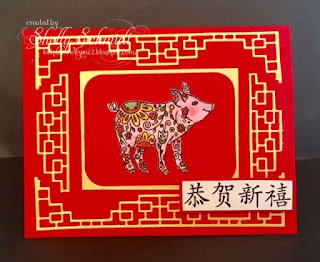 Same card, same process- using Scattered Straw Distress ink. Greenery was done with Forest Moss and Mowed Lawn. I added SU so saffron ribbon. I had one image left over, so decided to make it up without a background stamp. Whoa- that red cardstock is Gina K Red Velvet, and the rich red ink is Arteza waterbrush pen. 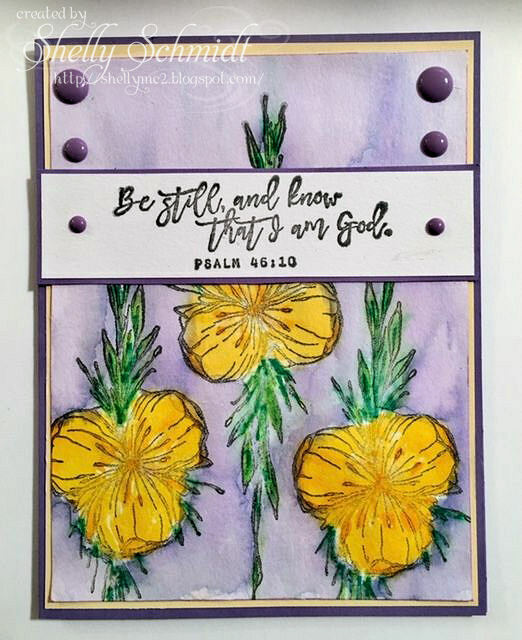 I used a sentiment from Gracielle Designs. 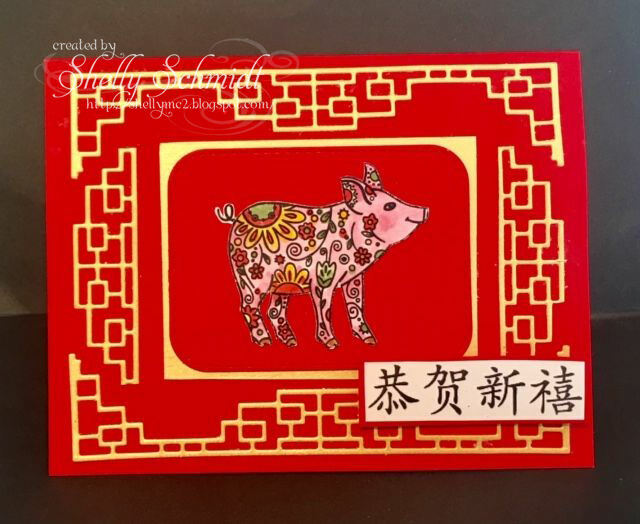 The red layer under the image is embossed for texture, and the image is cut with a MFT die. 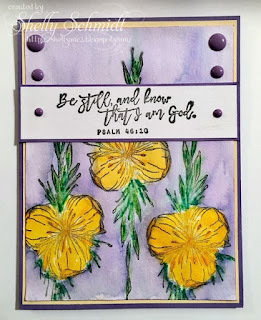 It's day 2 of my GIU week, I watercolored again today ; ) Growing up, and still to today, I am very allergic to...everything! Flowers and grass and trees , dust, mold..... 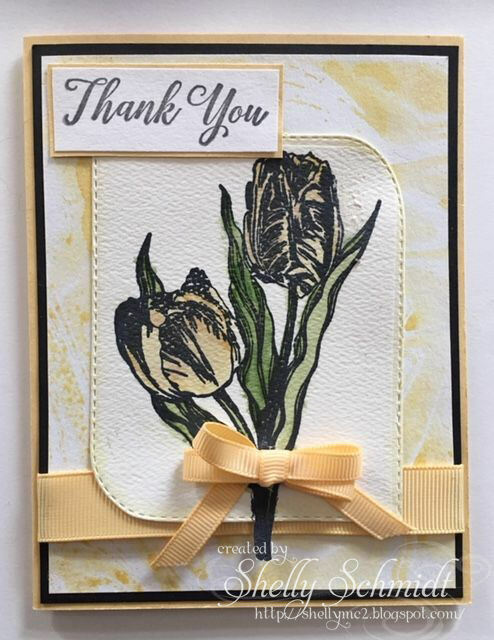 So, I really enjoy coloring and making cards with floral images- they do not make me sneeze!!! This image is by Graciellie Designs Amazing Things. 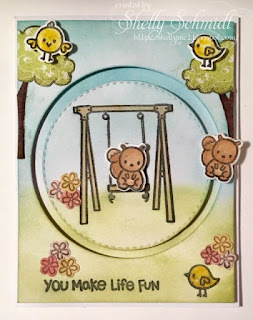 The card design was CASED from her blog , just different colors from hers. I used a Unity/Brutus Monroe background Barn Wall. 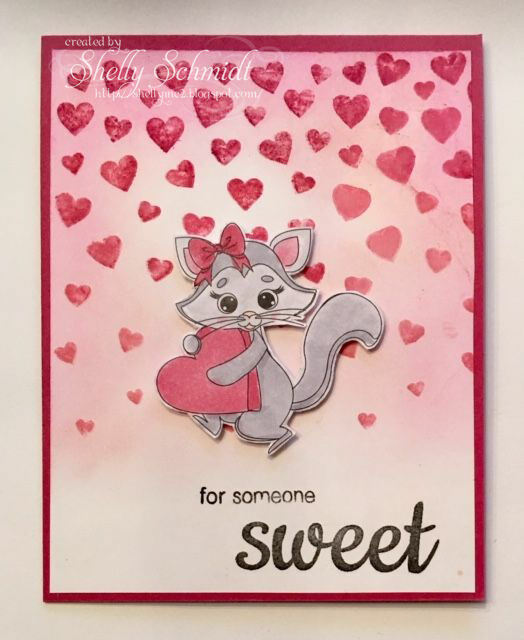 I inked it up with Burgundy ink by Sweet Stamps. I spritzed it before stamping it on Canson Mixed Media cardstock. I watercolored in peach/yellow. I diluted the peach and brushed it over the Barn Wall background. 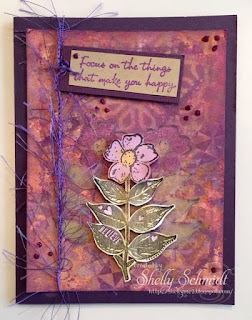 I used SU cardstock Groovy Guava and Close to Cocoa, both retired. The floral image is raised on dimensionals. There is a touch of shimmer on the flower using Wink of Stella. I had to have these sets- will use it more- and happy to have finally inked it up!!! ***FYI- All comments are moderated- spammers love me : ) Once you post your comment, it will have to be moderated before it is posted. Today is New Release day at Bugaboo! I had a little mixed media fun with this image! The new Release is Fairy Girl and can be found in the store HERE. I colored the image with Copic markers. There is Wink of Stella on the wings, but you cannot see it well in the picture. The sentiment is a Unity stamp. 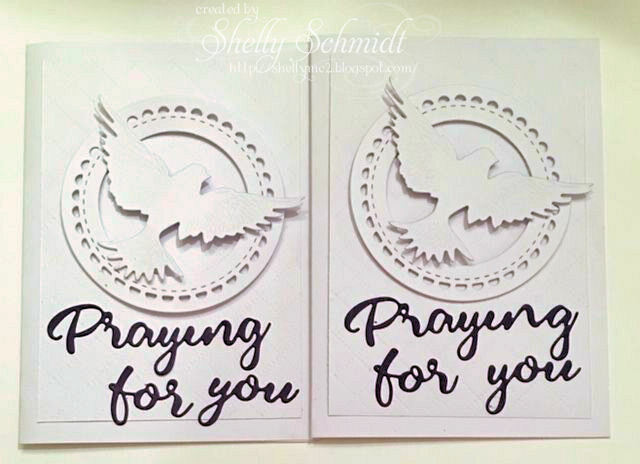 It is embossed on the Wisteria cardstock (SU) using silver EP. . 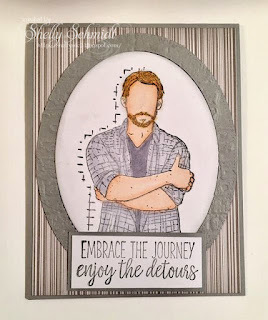 I used Mica ink in 2 colors on the background of black cardstock. I took that piece, once dry, and embossed it with a textured (aka 3D) embossing folder. I highlighter and embossed the raised areas with Silver EP. I stamped the fish, and masked them before inking up the background. I colored the fish with Copics. 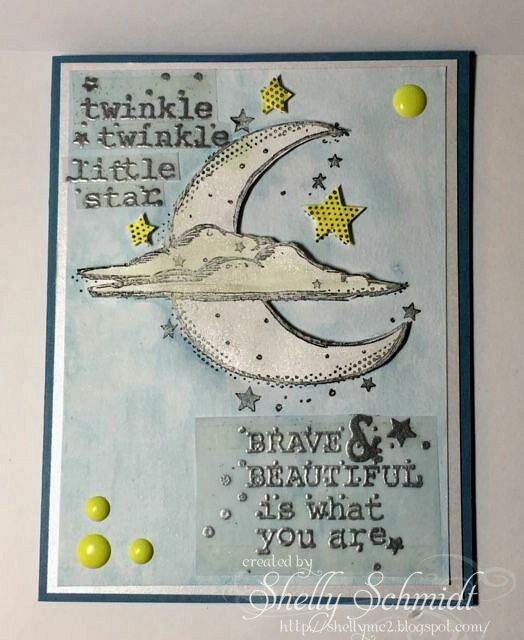 For the background, distress inks in Salty Ocean, Broken China and Peeled Paint were used for this underwater card. There is shimmer (wink of Stella) on the fish and on the sentiment that is not visible in the picture. 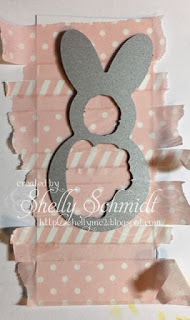 I also used a stencil named Abstract (I think by Sweet Stamps). 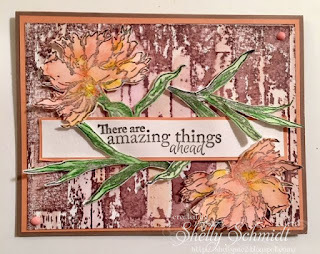 The greenery was stamped using Wasabi and Old Olive SU inks. The border die is Gina Marie. 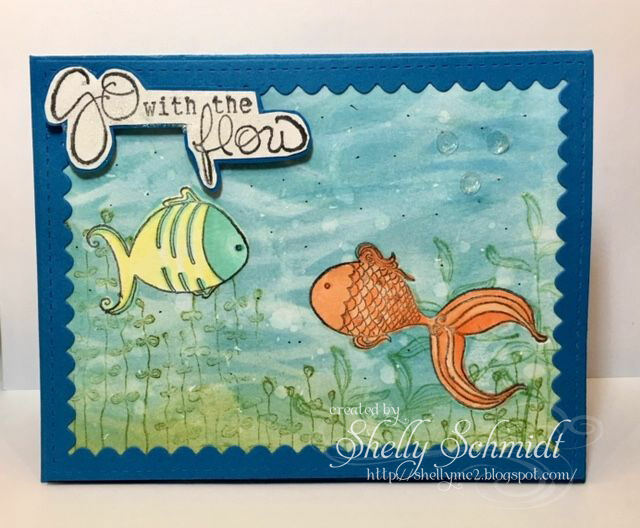 This Unity stamp kit is called Fishy Philosophy. There was a book named Magic Fish I used to read to my kids when they were young. 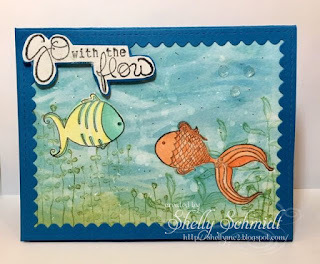 If I can find it, I will make another card painting/coloring the fish like the cover of that book! These stamps from the 1/2018 KOTM have been siting on my desk waiting to be stamped up.They were inked up with Nuvo Hybrid Black ink, then water colored with Daniel Smith paints. 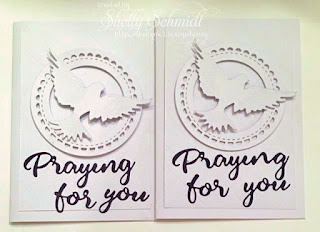 The sentiment was embossed in Silver on vellum, and deconstructed to fit onto the card. The moon,clouds and the stars are popped up on dimensionals. They were painted with a Wink of Stella pen, so are very shimmery. 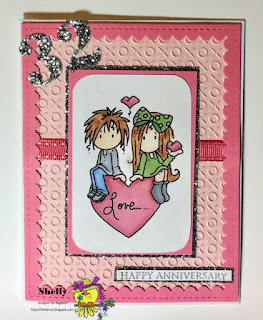 While it looks like a Valentine card, it is actually for my husband and my 32nd Anniversary which is in a few days! For the BINGO, I used Bugaboo image, Embossing and Sparkle. The image, Ava and Deacon Heart was colored with Copic Markers. The die is Gina Marie and the embossing plate is Sizzix. The sentiment is Hero Arts. It's the 15th of the month, and that means its time for the Dueling Darlings! Our hostesses for this month are Tracie (Dazzlers) and Bard (Divas). 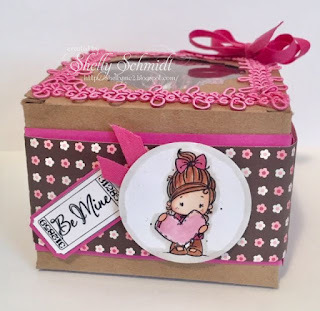 Tracie sent us the cutest images and kit! 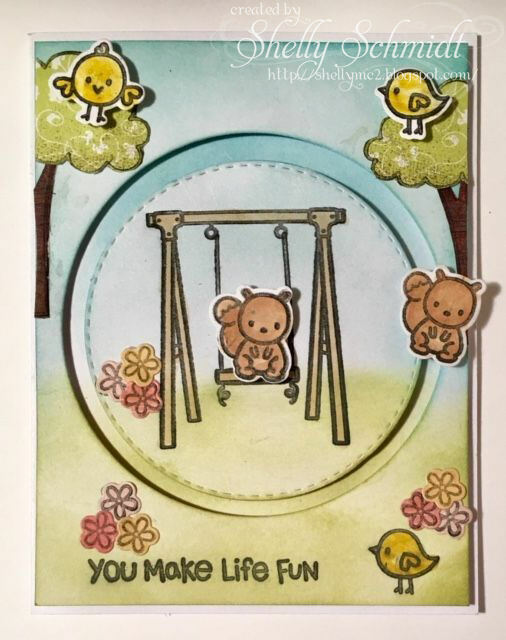 This fun image and sentiment (also the balls) are from Newton's Nook Designs (Fetching Friendship). The dog and ball are colored with Copic markers. 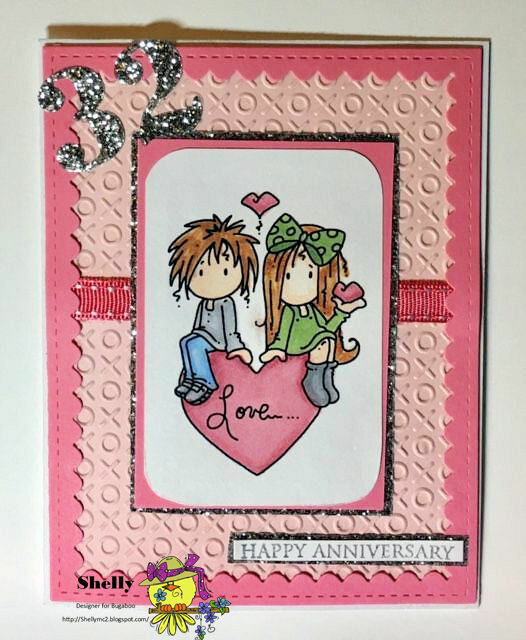 Tracie stamped the images on Neenah Classic Crest cardstock using Gina K amalgam ink. The DP is by Authentique (Companions). 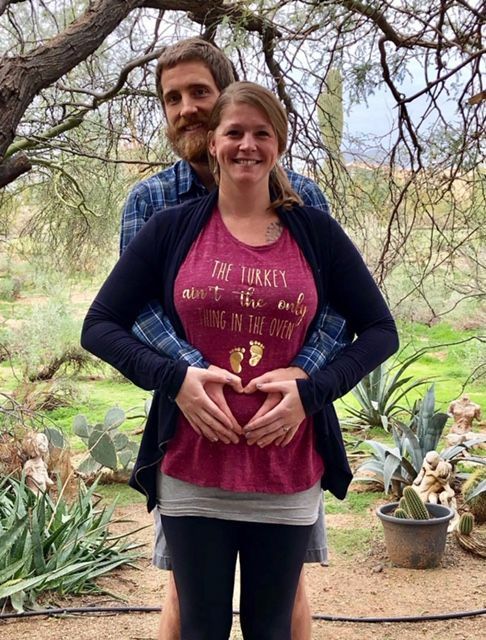 The ribbon and brads are from her stash. 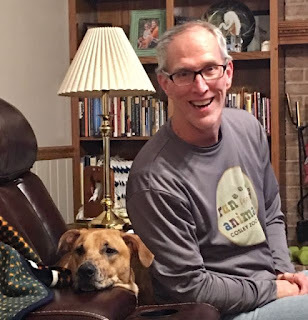 The dog, Sir Theo the pup, was at our house last weekend. I was trying to teach him drop. It worked well as long as I had a treat for him. If not...no dice....(he likes to play and wrestle you for the ball or toy). But, alas, a Granddog- he goes home after a bit of time...until next time Sir Theo. Sir Theo the Pup has an Instagram page HERE. His breed is called Black Mouth Cur and he was a rescue- as a pup, my daughter is his 3rd owner. 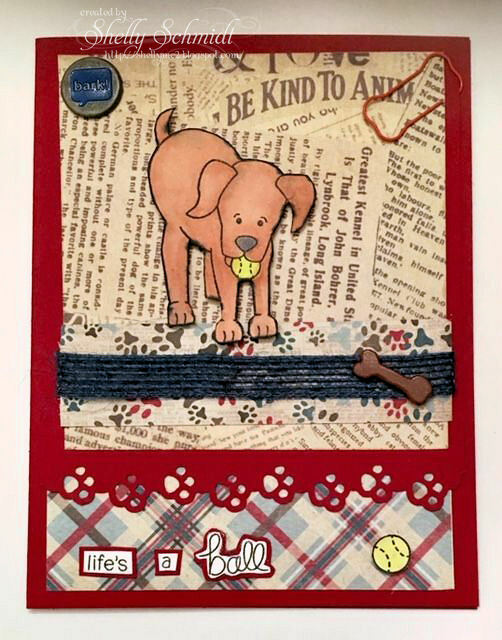 He is very active and playful, but not growly at other dogs or people, so not sure why he was taken back- a little seperation anxiety, but, as I mentioned, he attaches himself to someone (my husband when my daughter is not around) and he is OK.
Back to cardmaking.......Be sure to hop along and see what my teammates, the Dazzlers- and the other team, the Diva's have made! Washi is fun to use and not stressful at all! 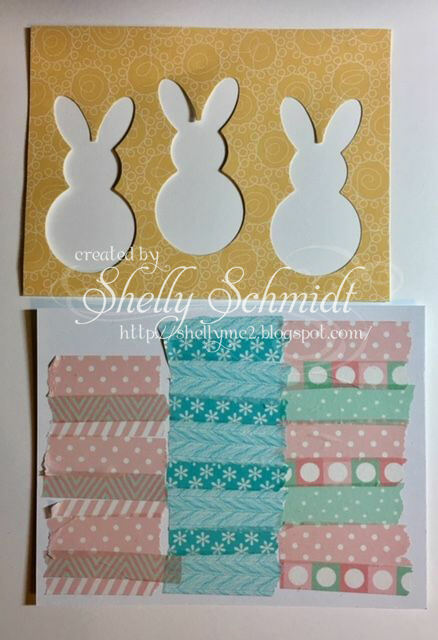 So, these bunny cards are created using two separate but equally easy techniques. This card is created by cutting cardstock the approx length and width of the die and covering it with Washi Tape, then cutting out the bunnies and layering them on the DSP. The sentiment is from a Hero Art set. 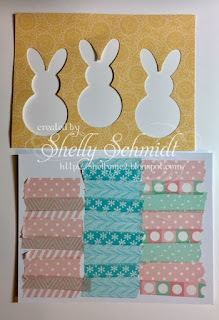 The 2nd card is done by die cutting the bunnies out of the DSP, then adding the Washi to card that will be under the DSP. Here is the card underneath. 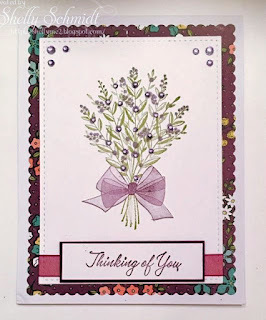 I used a portion of an Inkadinkado sentiment for the card. Do you have much Washi??? 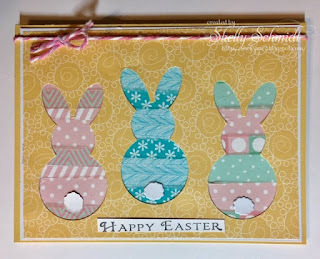 I had fun with a die that cuts a "Gap" in the cardstock and laid Washi on the lower level. 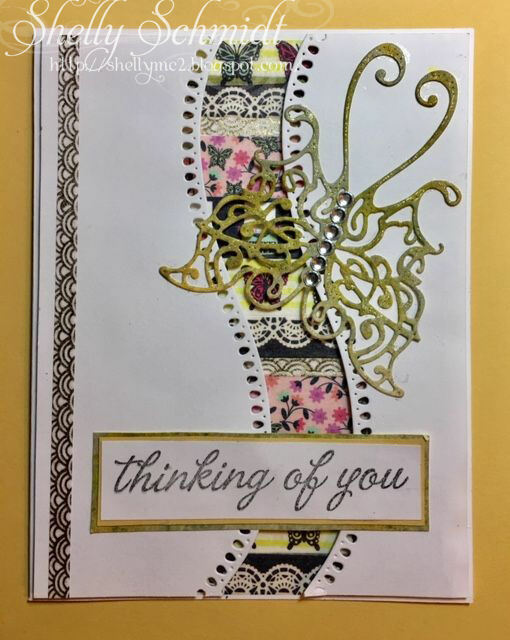 Once the die cut cardstock was raised on dimensionals, I embellished with a Cheery Lynn butterfly made from a sheet of Distress inks and has Wink of Stella and rhinestones to jazz it up. 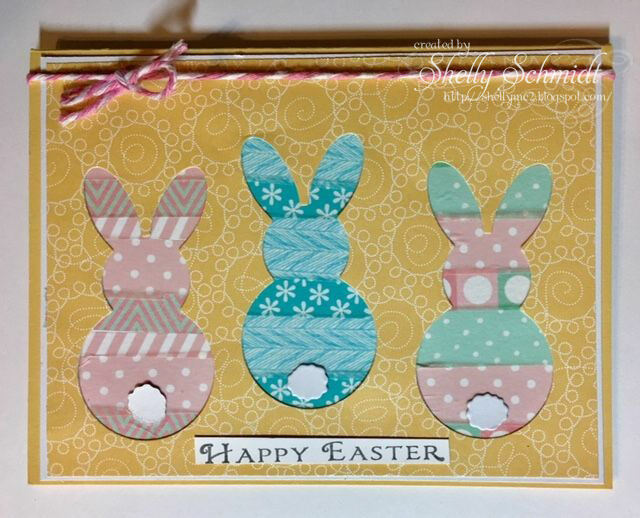 I added a strip of Washi down one side of the card, and a sentiment across the lower levels. I am in a card kit group. We send a kit each month to a member, and one month we are a recipient. We request our wishes and that guides the kits. This month is my month to receive, and I requested Purple (my mother's favorite color) and thinking of you or Sympathy cards. 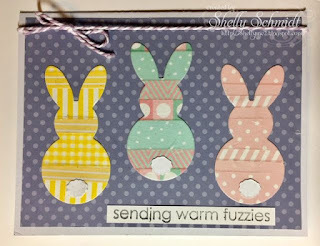 This card kit was from Jeanette- just a portion of the kit. The image is Flourishes. I colored it with Copics. I so love this pretty card, and sadly, have already used it! This was from Sue and one was already made, I had the ingredients to make a 2nd- just fantastic!!! I do not know where the dies are from, but so love them!!! More kits to come this month! What a cool swap group to join!!! Scripture: I am selecting 1 Corinthians 13:4-7 "Love is patient and kind; love is not jealous or boastful; it is not arrogant or rude. Love does not insist on its own way; rejoice at wrong, but rejoices in the right. Love bears all things, believes all things, hopes all things, endures all things." I thought it was a great image for the theme, as when we marry, our hearts are one. Our desires, needs, wants are now seen in the lens of 'us' instead of just 'me'. I colored the image with Copic markers. The background was done with a Stampin Up stencil- hearts- never used before- and initially I was water coloring through the stencil, but I progressed to sponging color through the stencil in Pinks and Purples using SU inks. I sponged Pretty in Pink ink over the entire background. Yep- that cardstock started out as plain white! I used some Pink Bias Tape for the bow. 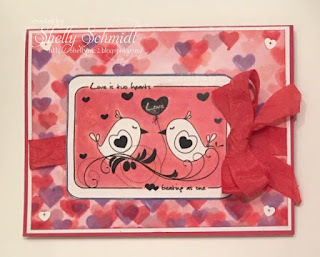 The cardstock base is Rose Red - which has to be my absolute favorite SU color. I hope you can see the shimmer I added- on the white later right over Rose Red, and the white around the hearts in the bird image. Also, around the white outline of the Two Birds. The sequins in the corners are also SU. 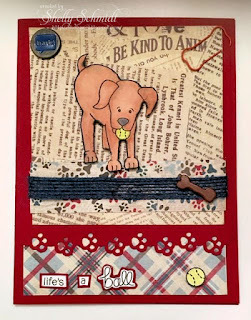 If you go to Splitcoaststampers.com, and go to gallery and search COFfeb19, you can see all of the cards created for this challenge. 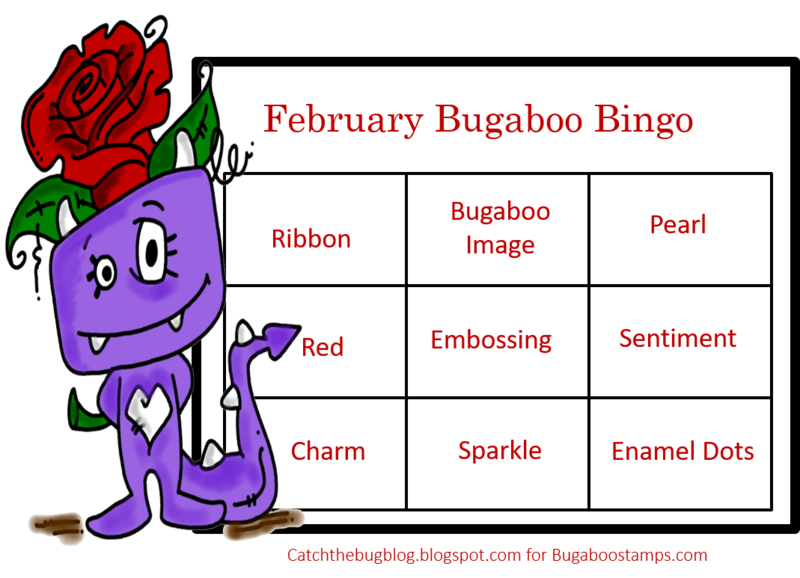 Bugaboo posts on Mondays at the Catch the Bug Blog are "Anything But a Card". 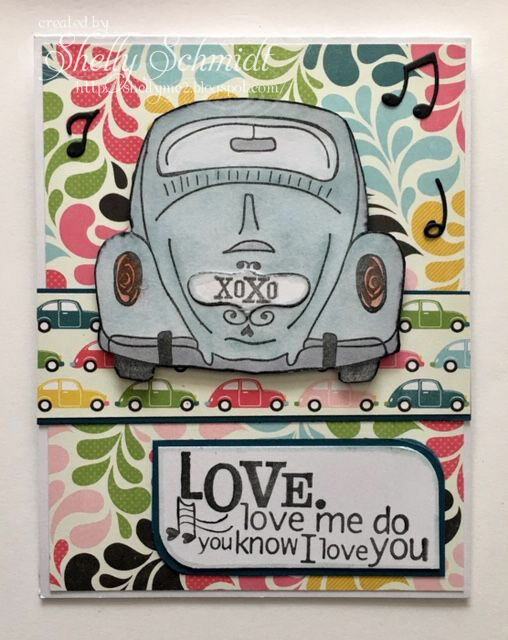 I was loving the Oldies But Goodies card I made-from last Thursday, and had a box that needed 'fixin up, so went to town with the supplies on my desk! Can you see thru the acetate? 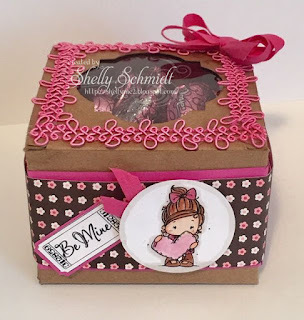 The box is filled with Dark and Milk Chocolate Dove candies in the shape of hearts. Personally, I prefer Milk Chocolate!